2 | Movie date. Some friends and I have been trying to go see Divergent together ever since it started showing in our cheap theater, but we've had to reschedule several times. We finally got to go Saturday night. They loved it, and even though I'd seen it once, I was still tense through the whole thing. 3 | Another book finished. I didn't feel well for a few days, so I spent a lot of my free time last weekend cuddled under a comfy blanket while reading Harry Potter and finished book 6! It might have been my favorite out of all the books so far. I couldn't put it down! So many feels at the end, though. So. Many. Feels. 4 | She Reads Truth. The new app is finally available, and I'm excited to have all of those resources at my fingertips! Be sure to check it out and download the app for yourself! -- The trailer for season 8 of Doctor Who was released this week! AHHHHH! -- Grammar skills are going down the drain these days, but this video may make you laugh. -- If you still haven't seen the new short animated film, Duet, you should take care of that right now. -- 8 things your should know about yourself. -- Have you seen the new Maiedae site?? I'm not-so-secretly hoping to win one of their great giveaways! I am so excited that the She Reads Truth App is finally out! I can't wait to follow the new plan on it :) It was my first weekend of my summer break and it was spend with lots of family members that I hadn't seen in a while. It was perfect! yay! book 6 really is a whirlwind of emotion! I'm OBSESSED with the new app!! It's so awesome. And beautiful and I love it. Harry Potter is literally the best. I think it's time for me to re-read the goodness. I love the new app, too! It's so exciting and the Lord is going to do amazing things through it! I really need to get my hands on some Hello apparel! The new She Reads Truth app is awesome - such a gorgeous design! 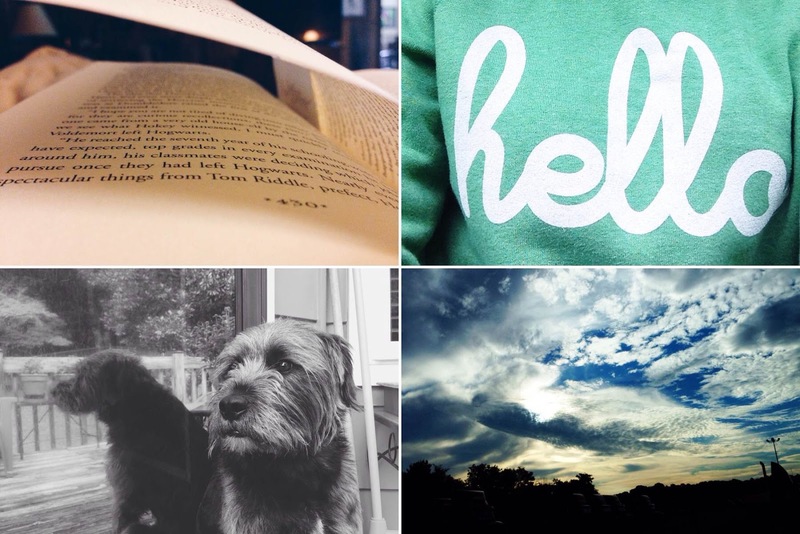 Also, love that "hello" sweatshirt. Adorable. I have yet to make a "hello" purchase but I definitely want to in the near future, I love their stuff! Sounds like a lovely weekend. I'm going to go download the She Reads Truth app now! It is beautifully designed, I think! I love it! thanks!! it is SO comfortable. It is the best sweatshirt I have ever owned!